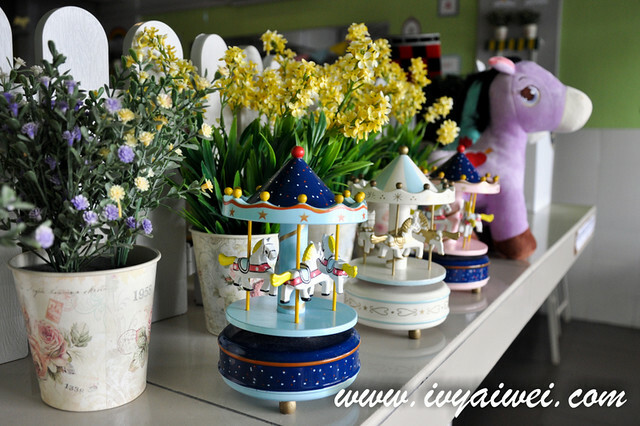 A cute little café that stood along the busy road of Taman Connaught and it is now filled with more colourful cute wooden horse sourced from various places. 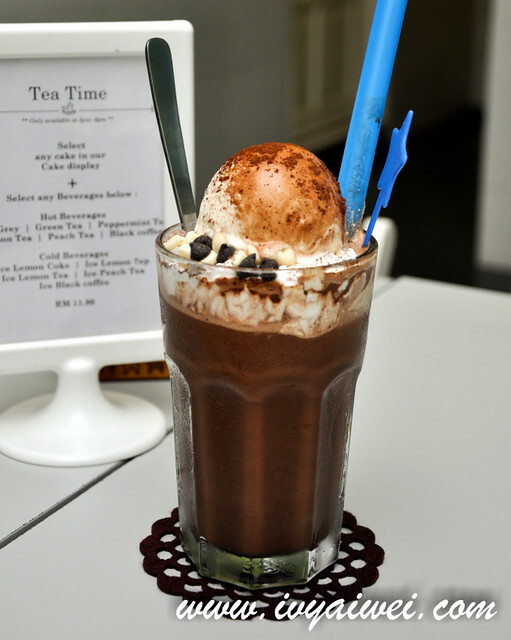 A sinful cup of drink, chilling and comforting with lots of chocolate in it. 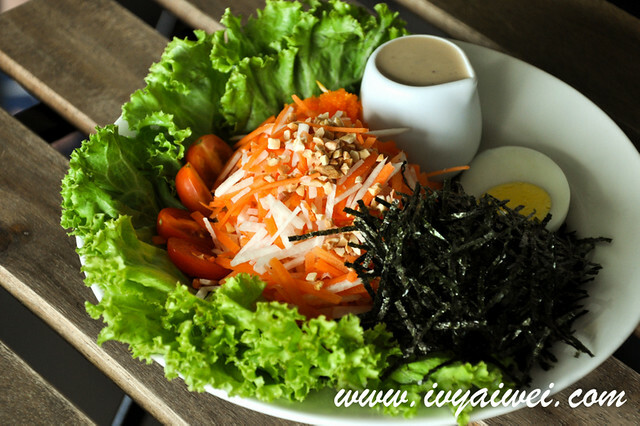 Loaded with seaweed, ebikko, shredded carrot and turnip, hard-boiled egg, grounded peanuts and finally dressed in with sesame dressing. A refreshing salad to kicks starts the meal. 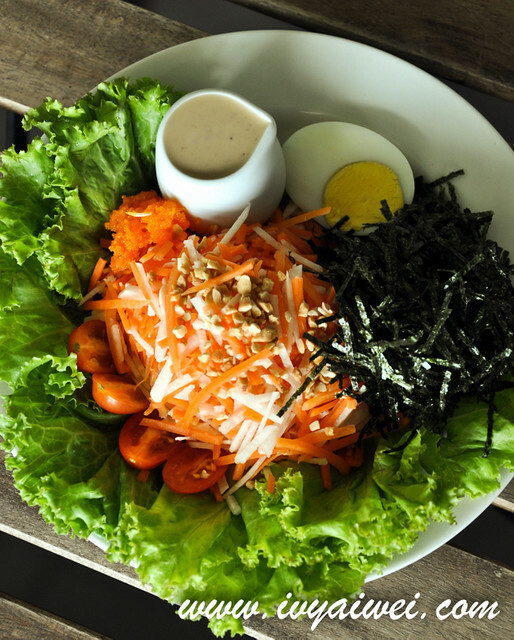 Served with special house sauce, peanuts, seaweed, carrots, cucumber, and hard-boiled egg and drenched in their newly created special house sauce. This, like the earlier dish, is something pretty fusion. 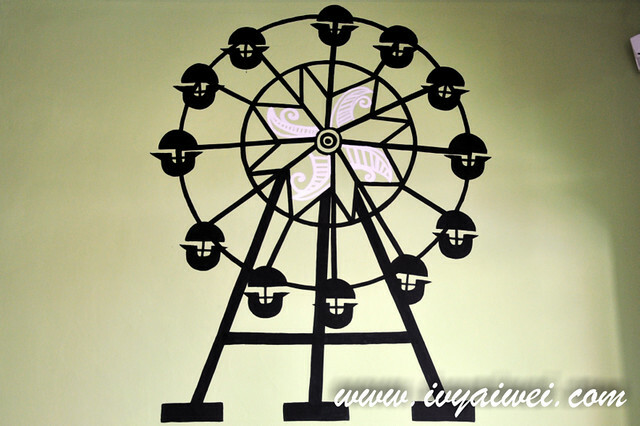 It’s always either you like it or hate it. But I always fancy fusion dishes, where there is a variety of flavours clash one another and resulted a new flavour. 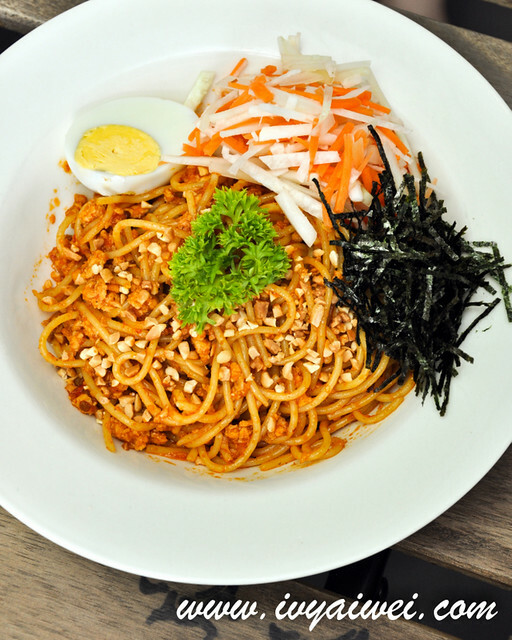 As for this dish, it has got the nutty aromatic flavour which brought my taste buds flying to a whole new world. 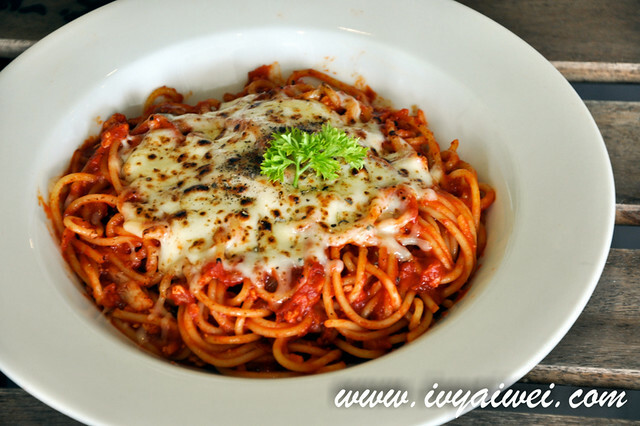 Tossed on with lots of minced chicken and topped with melted cheese. 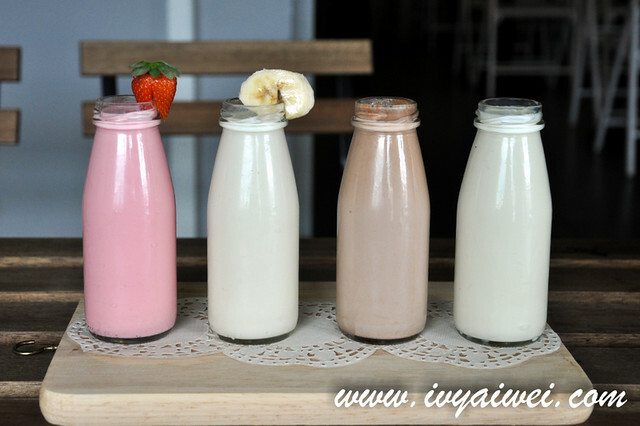 Savoury and yummy. 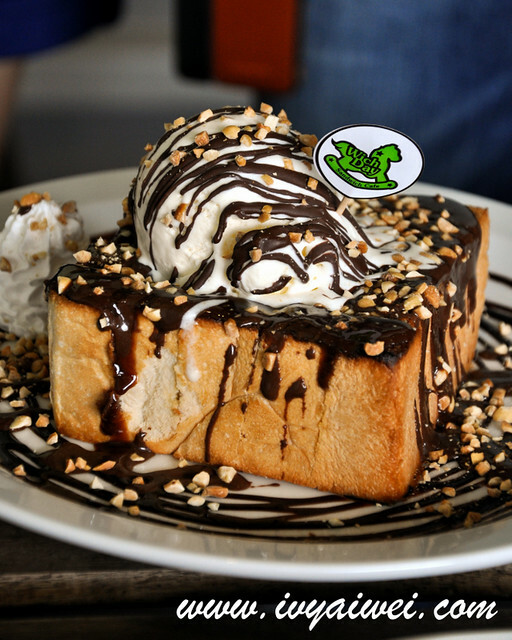 One of their signature toasts in the Butter Toast Series, this Nutella Peanut Toast was loaded with super sinful but irresistible Nutella chocolate sauce and a scoop of chilling vanilla ice cream. 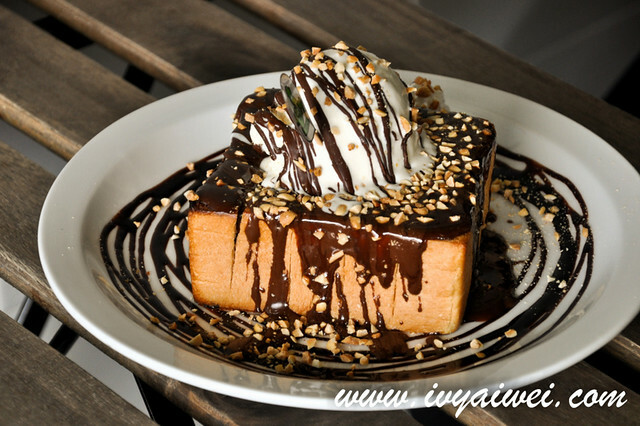 Not overly dose and it was just nice for the tummy, and of course for sharing too. 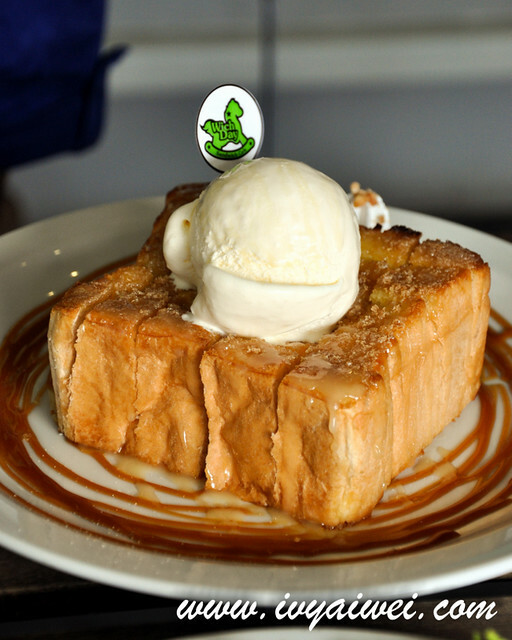 Very fragrant piece of toast; laced with butter in between the toast cubes and served with ice cream and sweet milk. 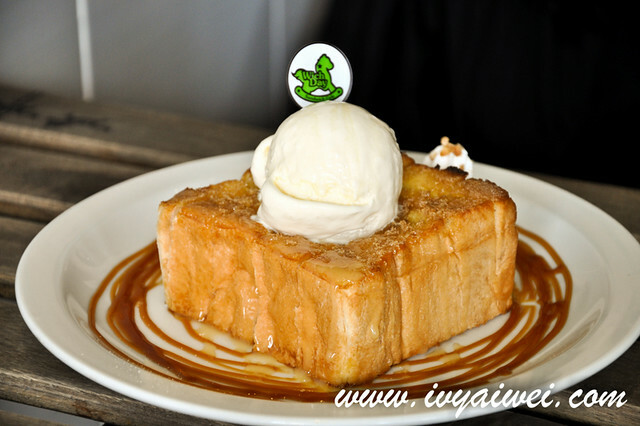 It was pretty good but I wish the toast can be crispy and crispier. Or perhaps, it was left too long with numerous shots of photo. 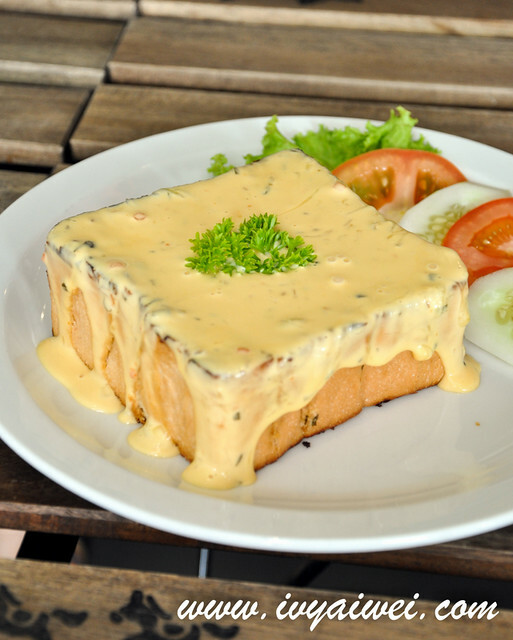 I fancy this buttery creamy savoury garlicky toast!!! And it was drizzled with 3 types of melted cheese but you won’t find it filling after cubes and cubes. 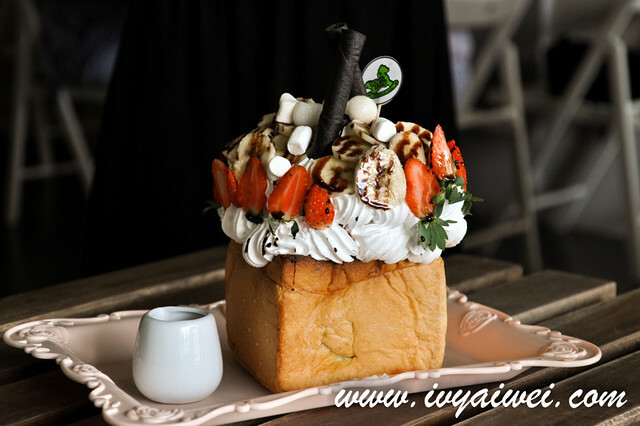 Delicious butter toast box served with strawberries chocolate ice cream, marshmallows and fruits. 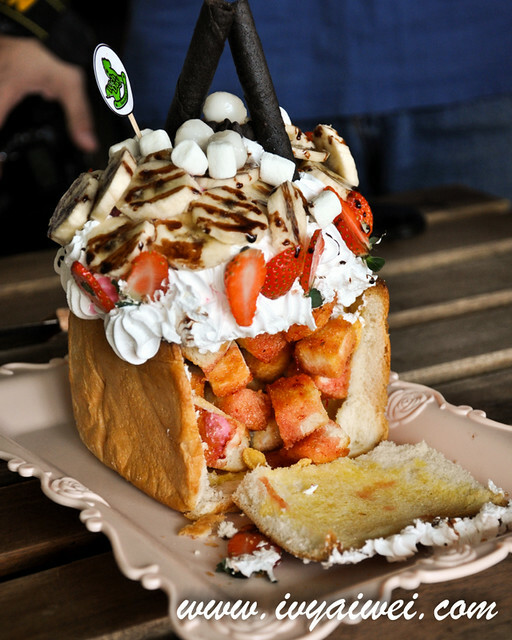 A mystery dessert box which looks quite similar to the one in Taiwan; filled with mini toasted cubes, ice cream, corn flakes and beautified with whipped cream, chocolate chips, marshmallow, mochi and fruits. Open it up and you will find there hidden with lots of mini toasted cubes; each faces of them were layered with plum jam. But I do find it a little sweeter to my liking. 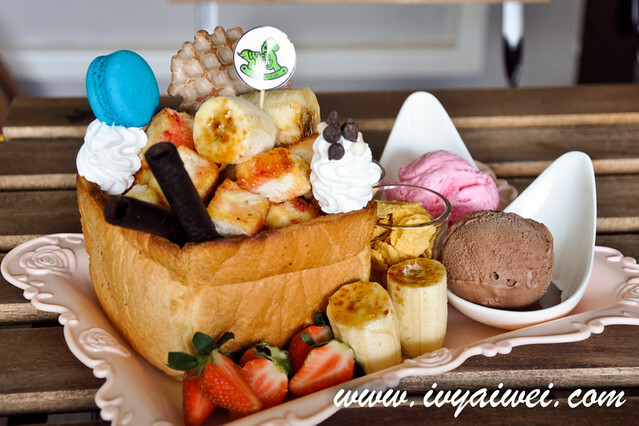 Plain delicious toast box served with strawberry, chocolate ice cream, marshmallows, macaroon and fruits. 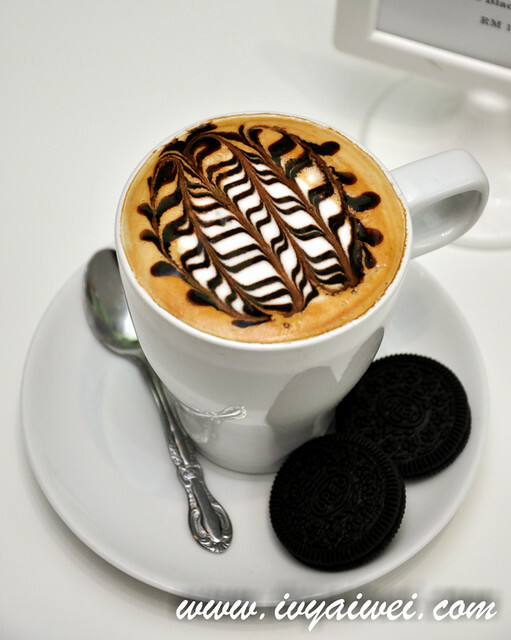 Time to play with your food. 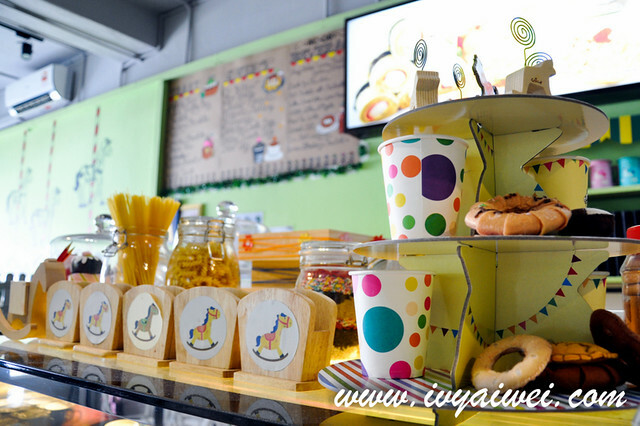 Show out your talent and creativity by decorating the toast box with the sweet stuff that served alongside before eating them. 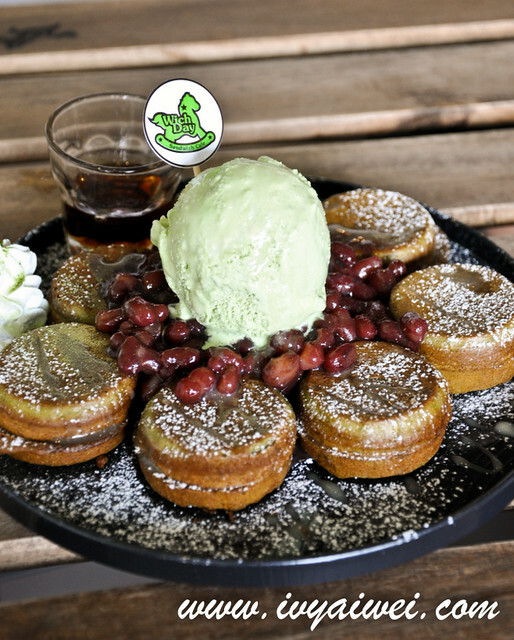 Mini pancakes served with red bean and green tea ice cream. 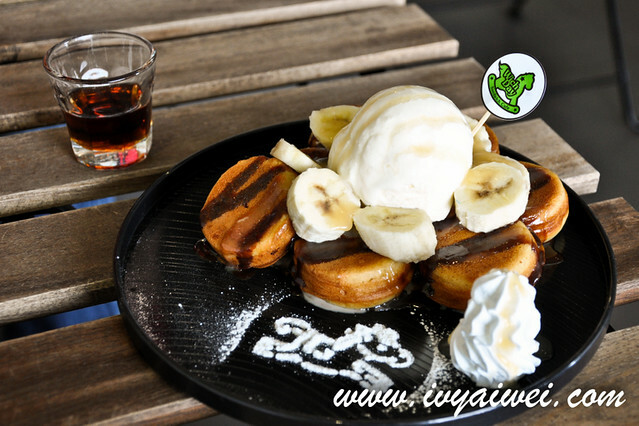 Banana pancake served with banana and vanilla ice cream. 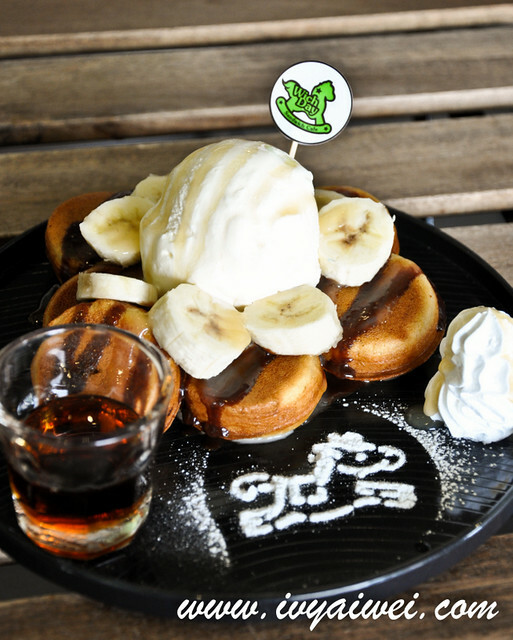 Each pocket of pancake is filled with mellow banana which gives you every mouthful of banana heaven. 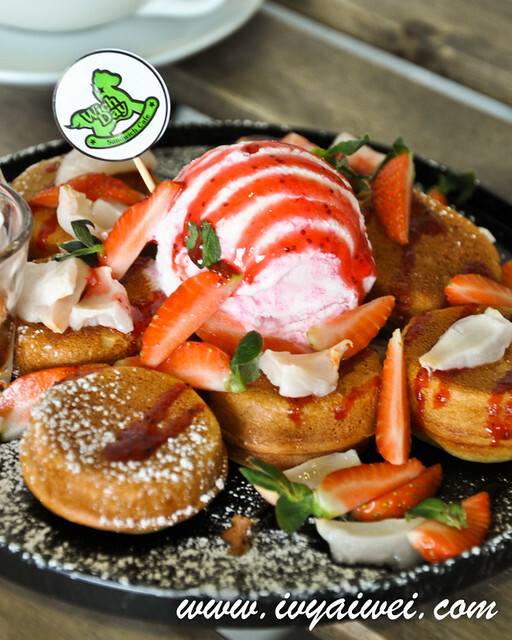 Mini pancake served with lychee strawberry and raspberry ice cream. 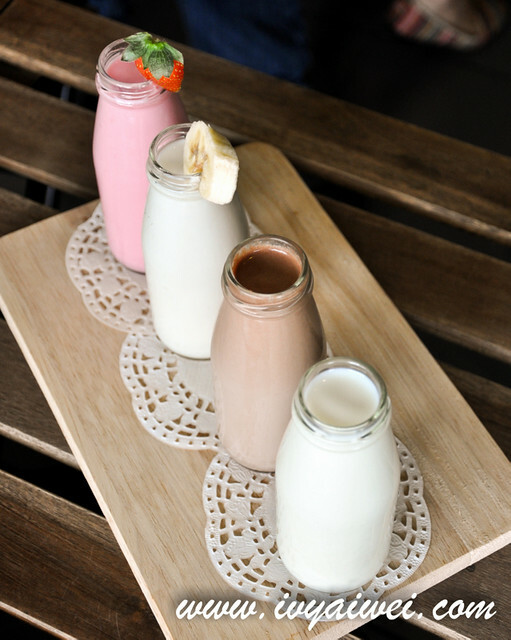 Decorated prettily with all pink and red ingredients. Girls will sure get killed over for this. 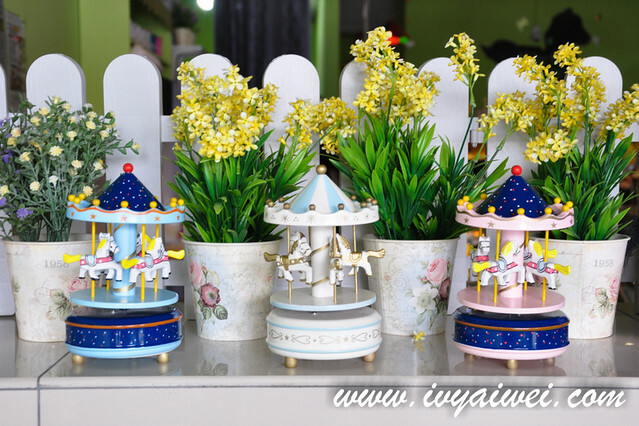 Mini pancakes are their newly launched items. 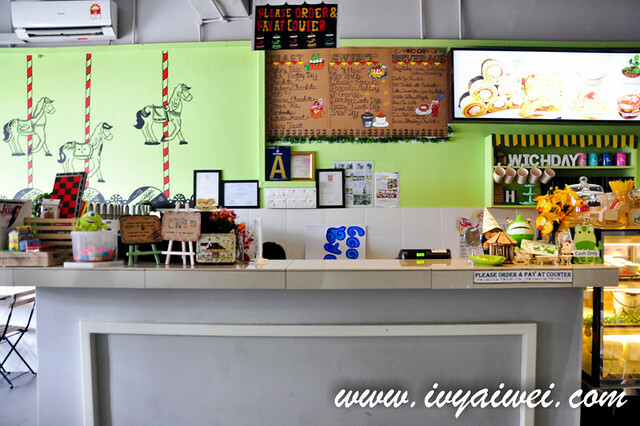 The pancakes are quite soft and fluffy and personally, I love the green tea pancake the most. 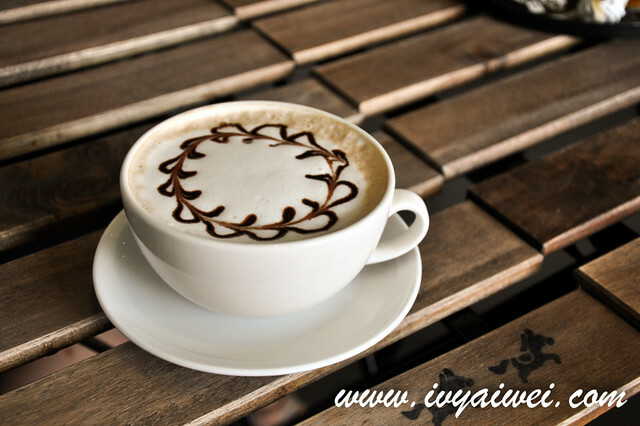 Both the pancakes and red bean weren’t sweet at all. 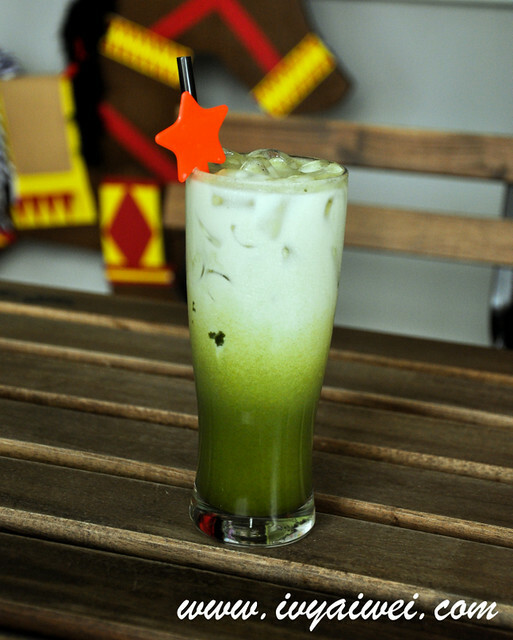 A touch of green tea ice cream made it all a perfect combination.